School proms are the busiest time of the year for limousine companies and in Scotland this is no exception. Super stretch limos such as the Hummer H2, Range Rover and Audi Q7 stretch are so popular for school proms that they are fully booked almost immediately. For this reason, it is always advisable to book your limousine early in Scotland and avoid the disappointment of having to arrive at your school prom in a coach. Booking early may also get you some fantastic limo prices so contact us today for the best school prom limos in Scotland. Wedding cars such as the Bentley Arnage, Rolls Royce and Mercedes can also be great as school prom vehicles. There are plenty of wedding cars in Scotland and Limotek.co.uk has access to almost all of them. For most people though, the big American 4x4 limousines such as the Hummer, Ford Excursion and the newer European models such as the Range Rover limousine and Audi Q7 limo are the vehicles of choice and are most often rented. 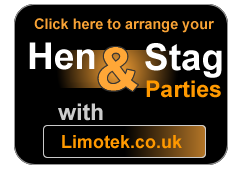 Contact Limotek.co.uk for a full list of limousines for your school prom in Scotland. We can supply almost any vehicle be it a Fire Engine or a pink town car limo, Limotek.co.uk has access to the finest limousines in Scotland. 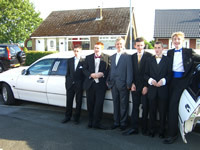 The school prom limousine in Scotland can create a fantastic night. You'll want to make an entrance worthy of such an event and there is a great range of limousines available in Scotland. Amaze your friends with the amazing Range Rovers or wow the crowds with the massive Hummer limousines. If pink is your colour then there are plenty of pink Hummer H2s, Pink Hummer H3 limousines as well as pink Lincoln Millenniums in Scotland. The Fire Engine is also available to hire for your school prom in Scotland. 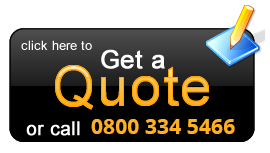 Please make sure you book your limousine as soon as possible as school prom limousines get booked very quickly so for all school prom limousines in Scotland, contact Limotek.co.uk today.